Sean Paxton, the Home Brew Chef, is our guest on Brew Ha Ha with Steve Jaxon and Mark Carpenter today. 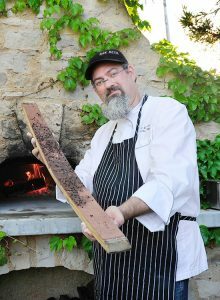 He says he has been cooking with beer for 24 years now. There weren’t many cookbooks on the subject when he started, they all talked about cooking with wine. Cooking with beer has a lot more variables, as he explains. Now he is making a NorCal Mole, which is a hot sauce that they will try. It has the Carolina Reaper pepper in it, toned down with Habaneros. Steve says it has a lot of vitamin C too. Mark says that early on at Anchor they were concentrating on making beer, and not on food. Steve says he loves cooking with Anchor Porter, which is a beer that Mark brewed at Anchor. Mark says beer can be more like champagne, in the sense that you can drink it with everything. Herlinda wants to mention “the elephant in the room” which is that Rate Beer’s Joe Tucker, who used to be a co-host on the show and who then moved to Portland, has taken an investment from AB Inbev. They have been buying craft breweries, like Goose Island, Elysian, Wicked Weed, the biggest home brew supply, Northern Brewers, and Golden Road. The news that AB Inbev has invested in RateBeer.com has made some people upset. Steve, Mark and Herlinda agree that RateBeer is like Yelp and the producers don’t decide what gets rated on Ratebeer, the users do, so they are not journalists. After the break they taste a Firestone Walker beer, made with a mix of west coast hops grown in Michigan, a great pale ale. It’s called Luponic Distortion. It comes from Paso Robles. Jess Valery yesterday talked about Russian River Brewing’s Pliny the Elder, after 8 years of being the #1 beer in the country, it fell to N. 2 and Bell’s Brewery from Kalamazoo, Michigan has become #1. Mark says they are friends and are both great breweries. Now they will taste Sean Paxton’s Eat Beer Hot Sauce. Herlinda says “it’s got a bite!” It’s made with Anderson Valley’s Oatmeal Stout. It has a great aroma. He wanted a hot sauce with some flavor, not just vinegary or just heat, almost like a steak sauce. They say it would make a good sauce to put the sauce into some of the AV Oatmeal Stout, add some salt, and use it as a meat marinade. The reception has been outstanding so they are going to start making others. Now they taste a second beer from Matt Mendelshon, called Leo versus Ursus, from Firestone Walker Brewery. It’s a higher alcohol beer. Mark says that Anchor is building a brewpub, across the street from the brewery. 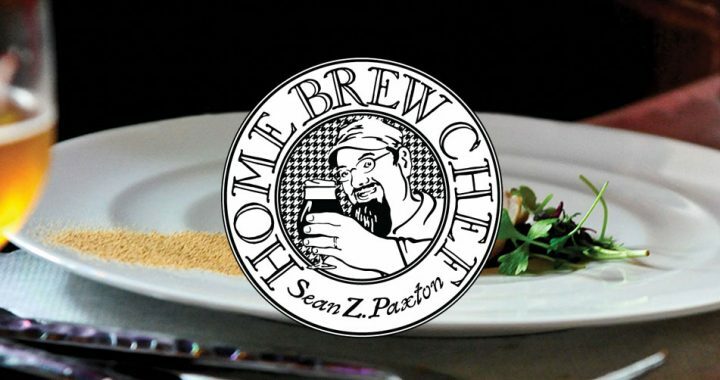 Sean Paxton has many recipes and menus for cooking with beer. Each recipe is scalable.